Pink Ink and Polka Dots: Teacher Tam's Educational Adventures: Get a Freebie and Maybe Win My Whole Store! Teacher Tam's Educational Adventures: Get a Freebie and Maybe Win My Whole Store! What a great giveaway! Click below to enter to win Teacher Tams giveaway, you might win her whole TpT store! Teacher Tam's Educational Adventures: Get a Freebie and Maybe Win My Whole Store! 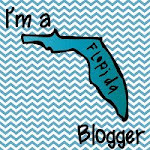 : "Let's celebrate the end of summer vacation and the beginning of my blog with a freebie of your choice and a contest! EVERYONE who particip..."
Thanks for letting everyone know!